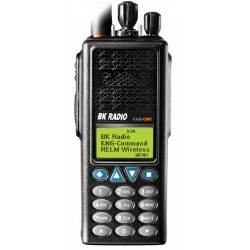 RELM KNG Series radios have now been expanded to include additional features first introduced in RELM’s DPHX-CMD family of products. KNG Command radios have a robust wildland fire feature set which includes keypad programming, radio-to-radio cloning, Code Guard Picklists, NAC Picklists, and Talk Group Picklists. In addition to these features, we’ve made some design modifications that came at the request of the firemen, like longer toggle switches, and a continuous channel selector.